Sweepstakes: Extreme Consumer Products New and Improved Indoor/Outdoor… | FreebieOrBust Freebies! We have a new giveaway! Make your dreams a reality and sign up for our sweepstakes community today! 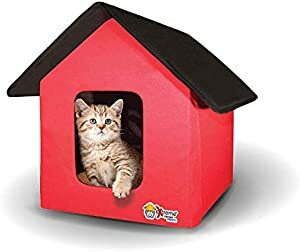 Extreme Consumer Products New and Improved Indoor/Outdoor Cat House with Heated Cat Bed – 2 Doors – No Slip Feet and Stake Ties for Secure Placement. Your odds of winning are 1:1000. Total number of prizes: 5. Offer hosted by Amazon and Consumer Supplies Direct. Every day offers a new opportunity. We post thousands of new sweepstakes giveaways every week. Check back with us every day for your chance to win in our latest sweepstakes.